Washington • Utah Gov. Gary Herbert said Tuesday that he hopes Mitt Romney runs for the Senate seat now that Sen. Orrin Hatch is bowing out, adding to a slew of prominent Utahns who are encouraging Romney to run. Romney, a former Massachusetts governor who has lived in Utah for more than four years, is considering a bid, according to those close to him, though he hasn’t decided whether he’d seek Hatch’s seat this year. The filing deadline for Utah office is mid-March, though Romney’s friends expect him to make a decision within the coming weeks. Candidates in Utah who intend to gather signatures to get on the primary ballot already have begun filing such declarations with the state. Hatch announced last week that he would not seek another term. Herbert, who had backed both Romney’s runs for president, said there are many Utahns who might seek the Senate seat, though Romney was in a prime position to make a bid. “We have good people out there but certainly when it comes to the polling and what I think about who has the best chance of winning, there’s nobody better than Mitt Romney,” Herbert said. Lt. Gov. Spencer Cox and Utah billionaire/philanthropist Jon Huntsman Sr. have likewise encouraged Romney to run and Hatch himself earlier had said he would have stepped aside for Romney. 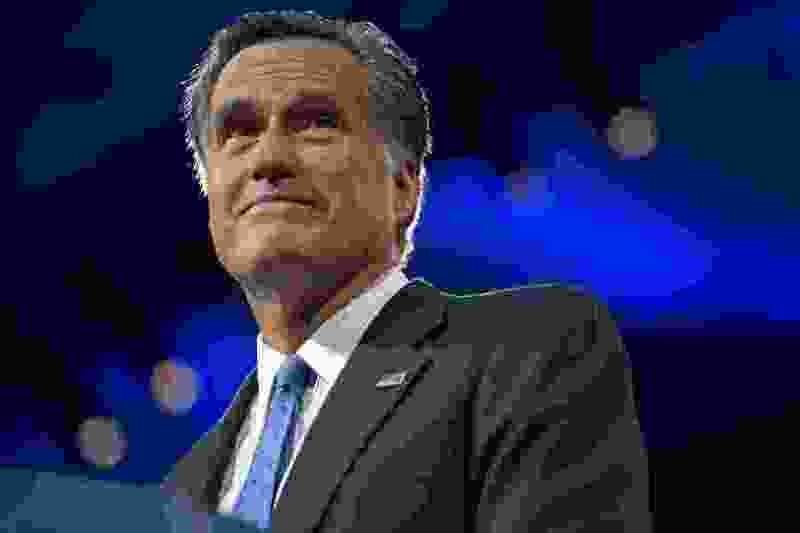 President Donald Trump called Romney last week to urge Romney seek the seat, according to a source close to the White House. Editor’s note: Jon Huntsman Sr. is the father of Paul Huntsman, the owner and publisher of The Salt Lake Tribune.